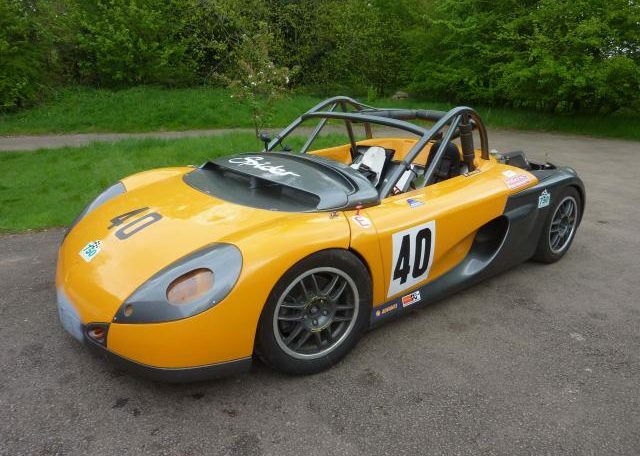 RENAULT CUP SPORT SPIDER 250 BHP RACE SPEC 1 of 100 FANTASTIC FUTURE INVESTMENT! 1 OWNER. GENUINE CUP SPIDER. OUT OF THE ORIGINAL 100 MADE, POSSIBLY ONLY 10 OR 20 AT MOST WILL STILL HAVE ALL ORIGINAL FACTORY BODY PANELS. AS MOST HAD CRASHES AND SCRAPES ON TRACK, SO POOR INFERIOR GLASSFIBRE PANELS WERE MADE FROM HOME MADE MOULDS, TO REPLACE THE ORIGINAL FACTORY ONES. ABOUT TO UNDERGO DUAL USE CONVERSION AS A ROAD AND RACE CAR, UNLESS SOLD BEFOREHAND. ONLY 1 PREVIOUS OWNER. 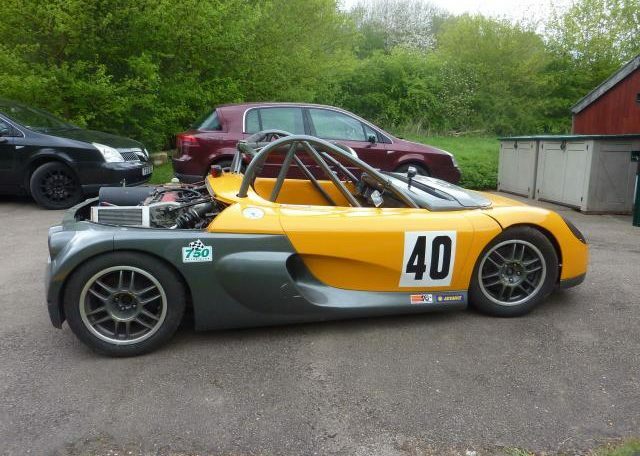 OLDER REBUILT ENGINE (NEEDS FRESH TUNING AND SERVICE), WITH BEST RACE COMPONENT SPECIFICATION 200+ BHP ENGINE PREPARED BY WELL KNOWN RACE SPECIALIST ENGINE REBUILDER. ALL APPARENTLY FULLY BALANCED & BLU-PRINTED IN a 700KG CAR! 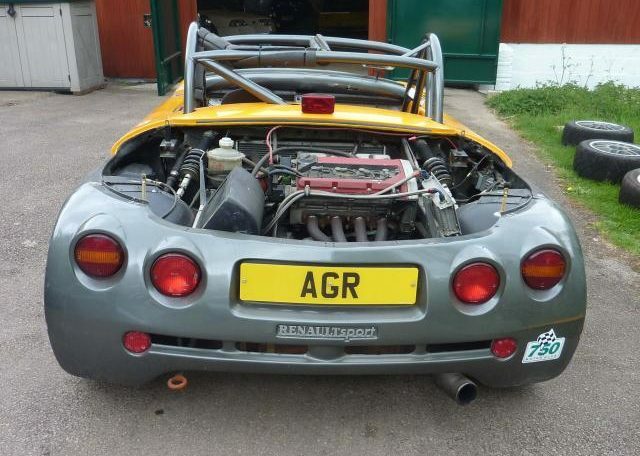 This 1996 Renaultsport Spider race car is finished in yellow over tungsten grey metallic. Displaying race plate 9604 it is one of only a hundred cars produced in the Dieppe factory, the spider being the first model to carry the Renaultsport name. This left hand drive car was produced for the UK Cup series and so benefits from fully adjustable Penske dampers and a six speed Sadev sequential gearbox with flat shift. Fitted with a detachable Alpha steering wheel and matching pair of Kirkey seats with removable weatherproof covers. Available “as is” or overhauled to your specific requirements. Car is available with spare set of Alloys and Tyres, if required. This car will double in value in the next 5-6 Years, so you will never take up our 100% Buyback Guarantee for “all your Money back”, in 4-5 Years, subject to Terms & Conditions. Or 80% 1 Year Buyback Guarantee. Performance and handling is absolutely incredible. Mileage is an estimate, as only used for occasional Races during intermittent seasons. The Previous Owner also owns a N2O 400BHP Road going Spider, together with a£1/4M 993 RS Porsche. The BHP figure is only an estimated maximum based on the engine rebuild Specification as stated. Serious Offers Invited for an extremely rare 1 Previous Owner Genuine CUP Spider, 1 of a 100 made. Most have been smashed to smithereens and rebuilt a 100 times over, with half a Dozen Owners for each car on average………….. Except this one. The car still looks the Coolest thing going, after nearly 20 Years! In fact does not look dated, in any Design aspect at all. The “Birdcage” Rollover bar conflagration, can be removed for a super smooth look for Road going usage and with our system it quite simply can be fitted back in, for a serious blast around a Race Track. #N.B. 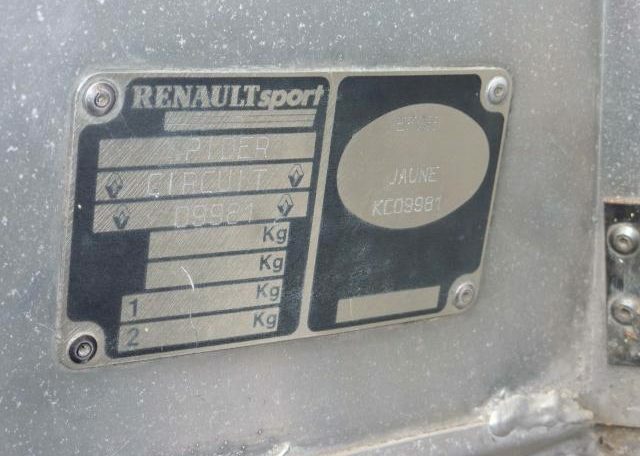 About 3-4 Years ago we were the World’s biggest Sellers of the road-going Renault Sport Spider Model, and at one time had Six of them in our Stock for sale from only £12,888 upwards! We conservatively predicted a doubling of price in 10 Years for this rare “Pocket-Money Rocket” and its extraordinary Timeless “Snake Pliskin” futurist design! ………………Say no more.